Rusty well water can cause staining on anything it touches: toilets, bathtubs, appliances, clothing and even hair. The water tastes and smells like rust, and many homeowners may not realize that just boiling the water will not remove the rust particles. 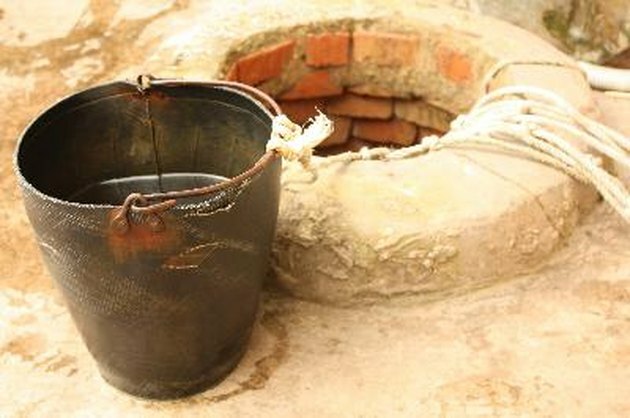 Rust in well water can come from a variety of sources. Groundwater in the region may be contaminated with elevated levels of oxidized iron, or the steel well casing can rust and create flecks of the oxidized metal to fall into the water. Old pipes can also be a source of rust, and water pumped through the pipes in the house can become polluted with small amounts of metal. 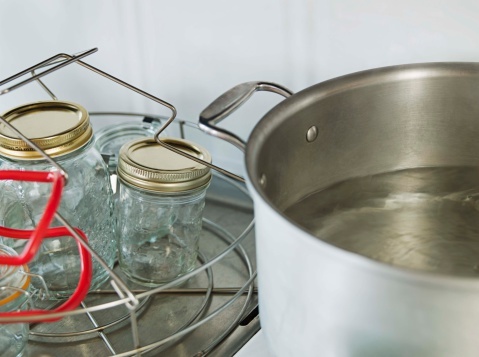 Boiling water has long been known as a rapid purification method for contaminated water, as the elevated temperature kills parasites and bacteria. Because rust particles found in the water are not living organisms that can be killed, rust is not removed during the boiling process. Water testing can be performed using kits acquired from a water filtration retailer, appliance store or online. These kits can determine how many rust particles exist in a sample of water, and should be used before and after a water softener or filtration system has been installed. After performing tests on well water, water softener retailers can usually recommend a unit that removes rust. Softening passes water through a salt compound that adheres mineral and metals to sodium particles in the softener tank, capturing minerals and some metal compounds. Specialty filters used to remove rust from the whole house or just the drinking water are available. These systems can be purchased from online retailers or locally from a water filtration specialist. Lauren Thompson lives in Kansas City, Missouri and works as both a writer and freelancer. Her background is in technical and spec writing for the information technology industry, as well as financial services. She also writes opinion and editorial articles for KCParent and Parents Edge, specializing in entertainment, food and political realms.